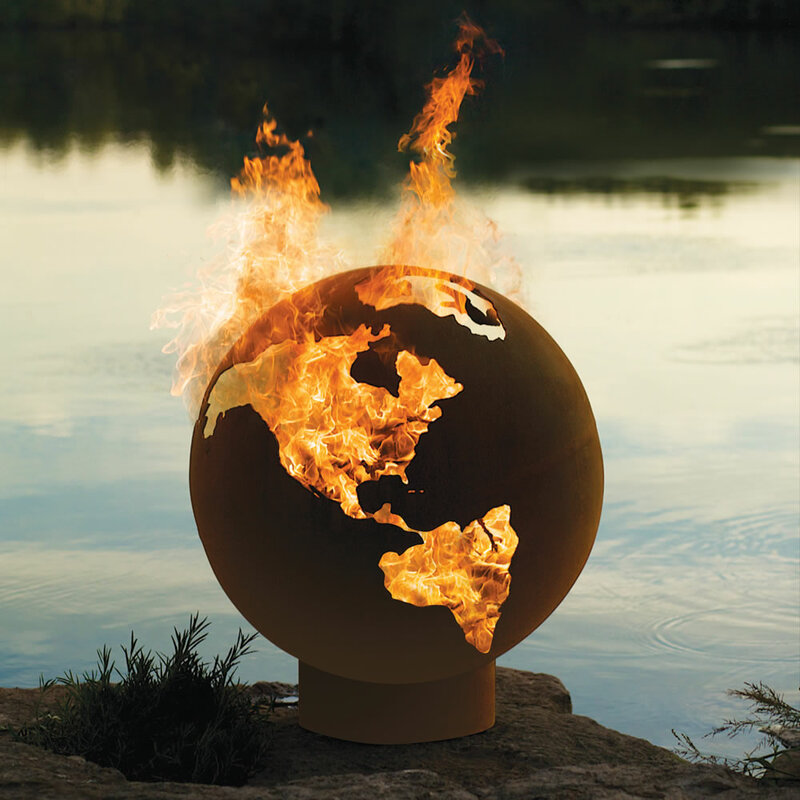 The Third Rock Fire Pit Globe will change the atmosphere of your outdoor living space. 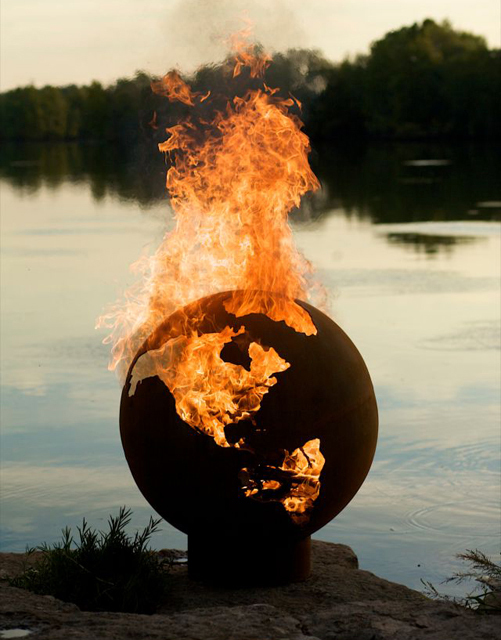 This Fire Pit Globe is new the line of hand made fire pits. Have you ever felt constrained by the small and frail fire pits found throughout the market? 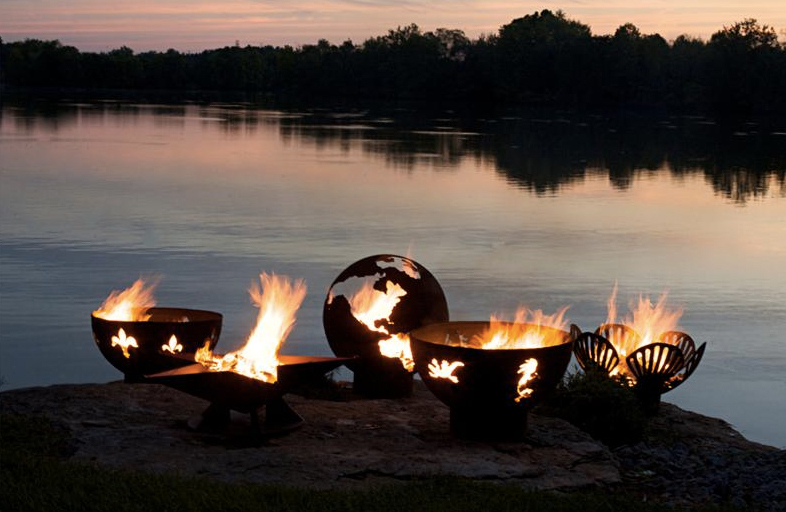 If so, then this fire pit could be the one for you. Constructed from ¼” thick steel assures you of having this functional art for many years to come. They have a standard iron oxide patina or optional high temperature paint finish on the outside. The iron oxide patina will darken a little with time then become permanent. The inside is coated with a high temperature resistant paint and has a rain drain in the bottom. The Third Rock Fire Pit Globe is approximately 3 feet wide at the top and can accommodate impressively large fires if desired. 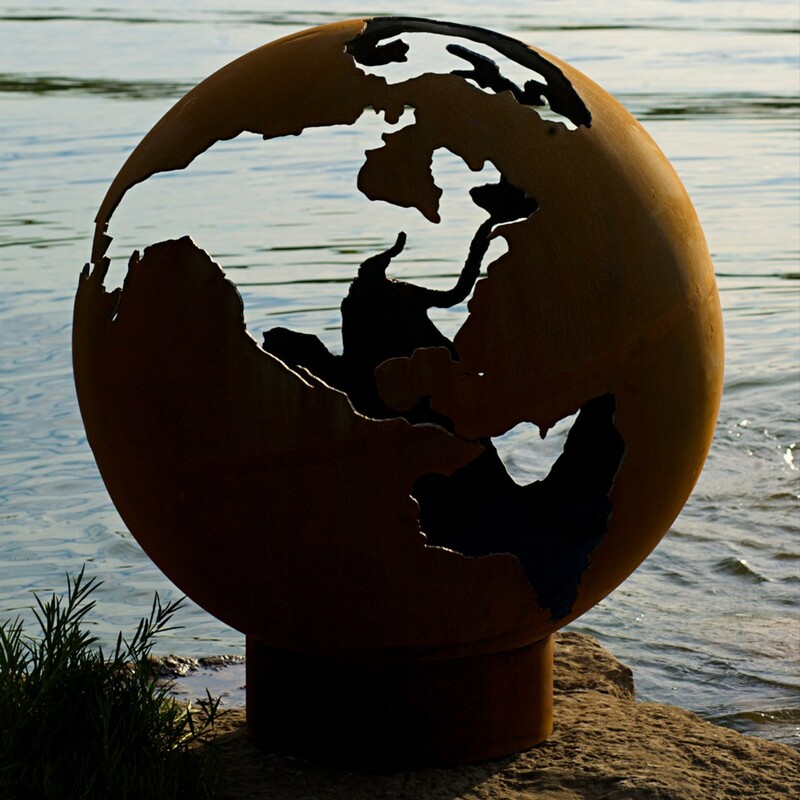 With the Third Rock Fire Pit Globe you get a Hand Made unique piece of functional art that will please you for years. And you can rest assured with the knowledge that you are getting quality found only in products Made in the USA.